Spokes man of the Kano state police command malam Musa Magaji Maaji have made it known to the public that two married women and and one married man being the admins to a whatsapp group in which a false news about a civil servant was share last week, the news about the civil servant have gone viral within a very short time. According to Musa Magaji Maaji the victim had come to the station tree days ago to complain that her pictures have been share across many whatsapp depicting her as a human trafficker. On the same day she brought the report a team of special police force was place on the case an successful got to the root in time and arrested the tree suspects. 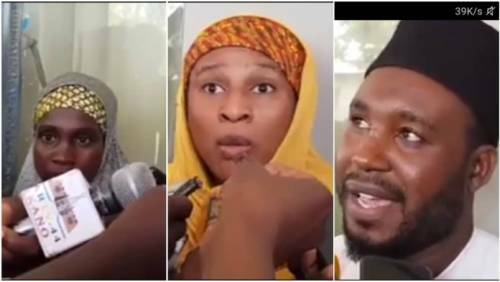 However the suspects have apologized and adding that they never new were the news came from but they were sure it was share by a lady in the group adding that they will get to the root of the matter. As at now the victim have been offered security by the police force for fear against mobs action.